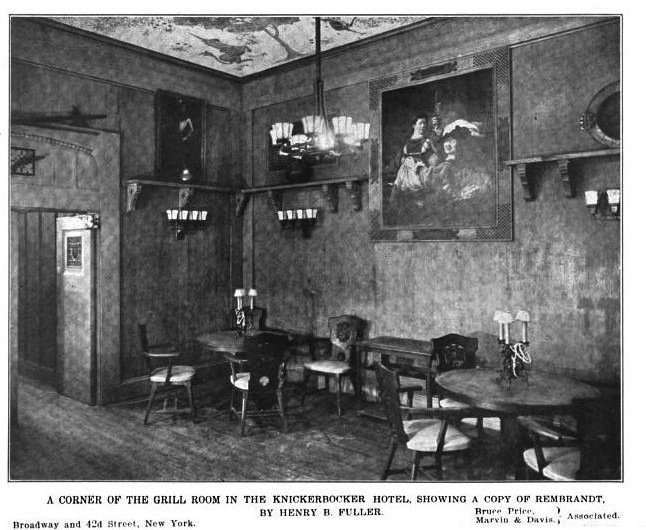 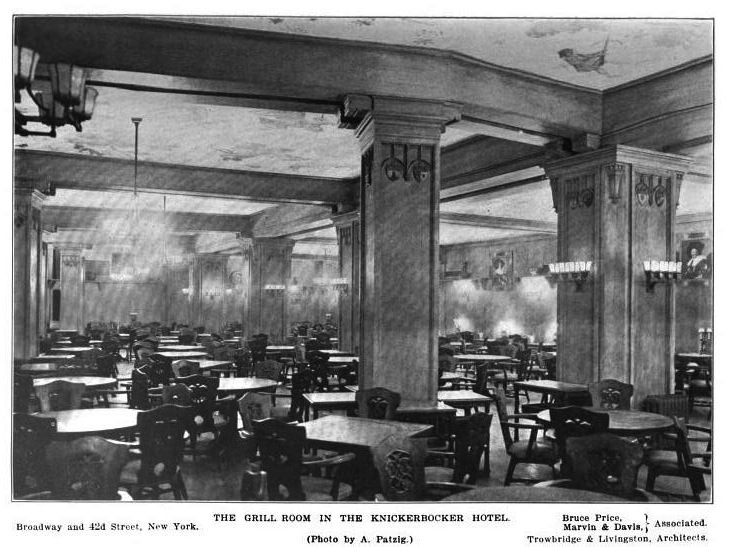 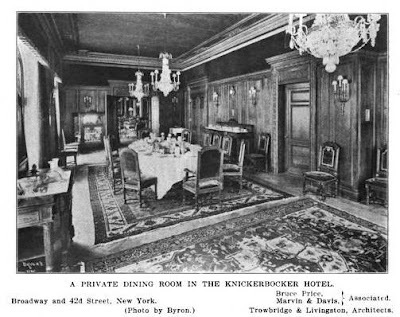 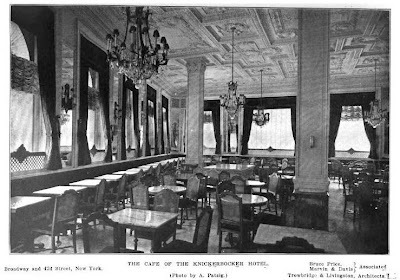 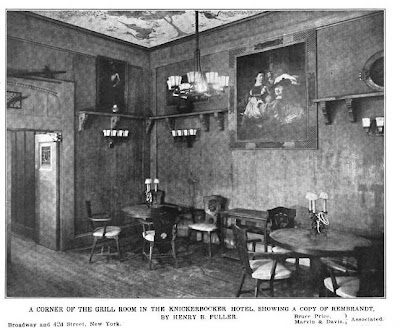 The Knickerbocker Hotel designed by Bruce Price and Marvin & Davis c. 1901 on Broadway and 42nd Street in New York City. 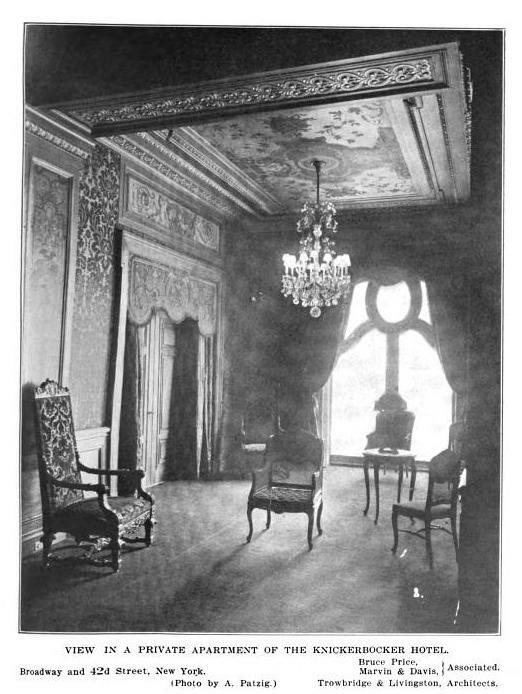 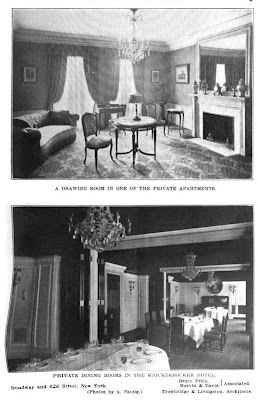 Problems among the original investors caused construction to stop in 1904 and was only able to finish after J.J. Astor IV stepped in along with Trowbridge & Livingston to redesign the interiors, opening in late 1906. In 1920 Vincent Astor hired Charles Platt to design alterations that converted the building into offices. 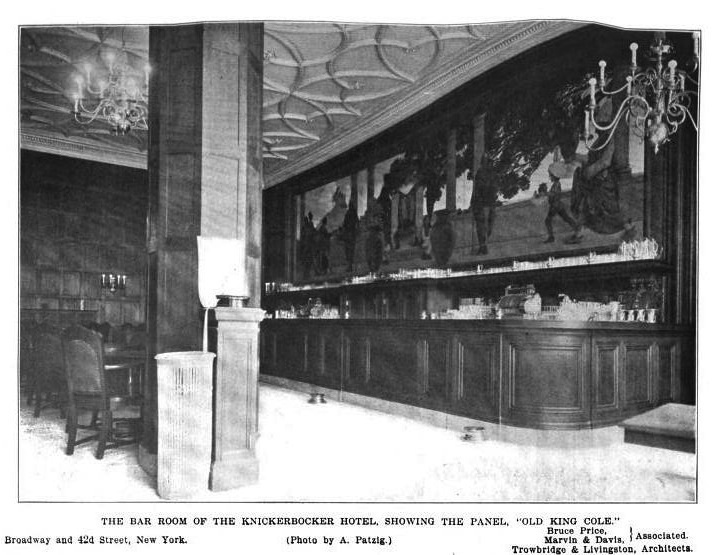 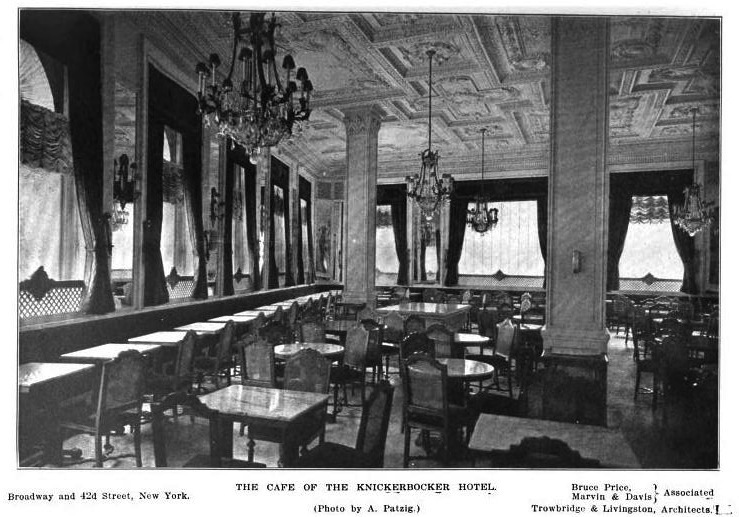 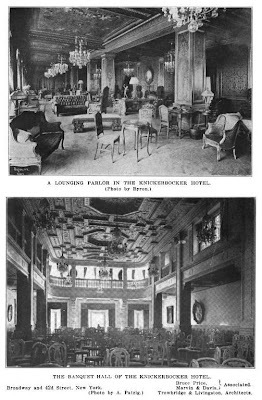 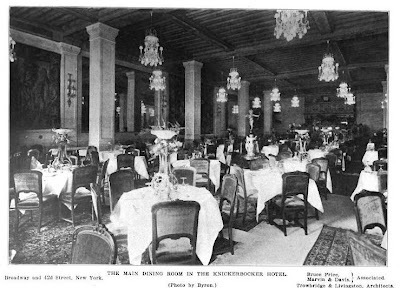 Click HERE to read Christopher Gray's Streetscapes article on the Knickerbocker Hotel and HERE to see the building on google street view. 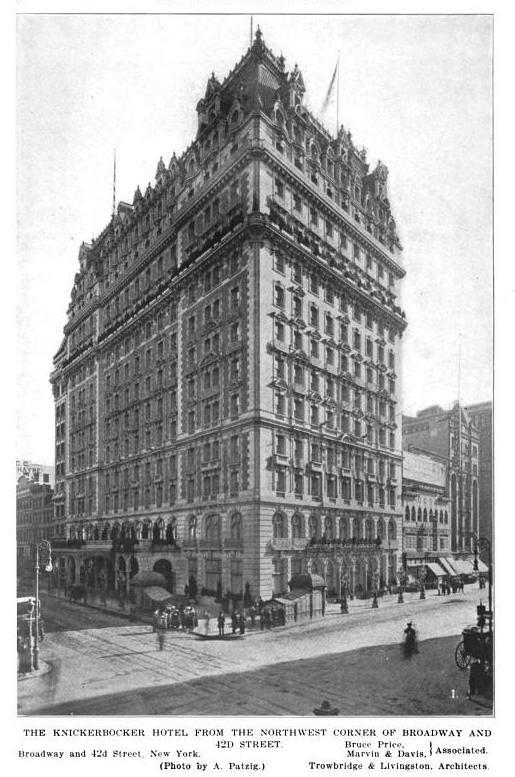 Update: Coincidentally the NYPost has an article in today's paper on the conversion of the building back into a luxury hotel, click HERE to read. Plans have been floating around for years to convert this back into a hotel and I think the latest scheme has an adjacent tower which supposedly is underway. It's a standout minature jewel box in a sea of glass and billboards. While its exterior could have suffered the fate of the Times Tower just across the street, its ornate exterior has mostly survived, however I believe the interiors have unfortunately been lost. 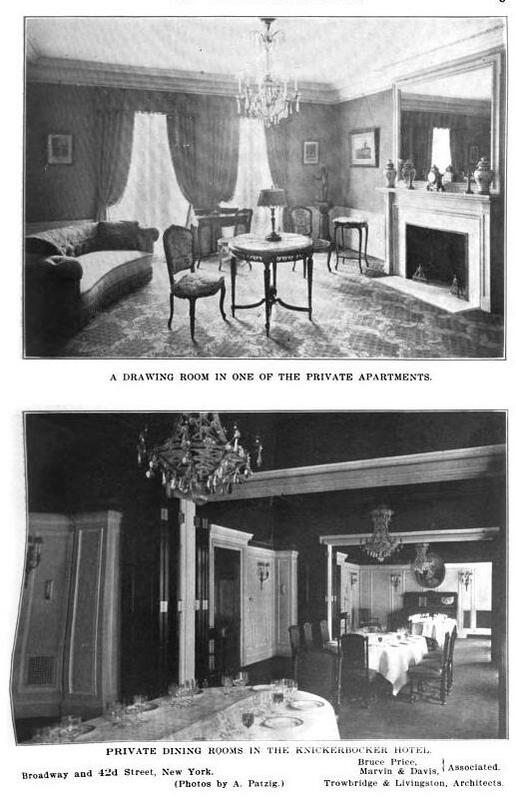 Is this wonderful or what?